Meet and mingle at the new Harlem Garage October 10 | HarlemGal Inc.
Save the date of October 10th! 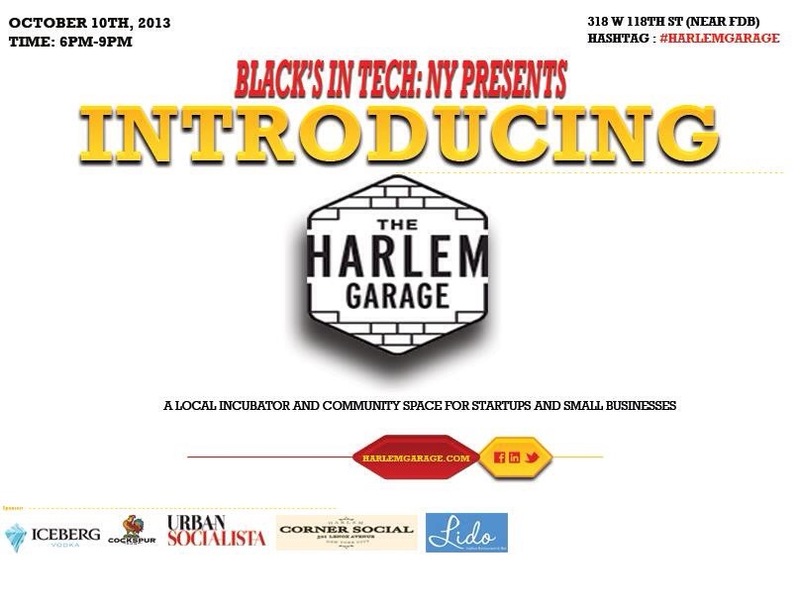 That’s when we are all invited to meet and mingle at the new tech space called Harlem Garage! That same evening provides an opportunity for us to meet the team behind Harlem Garage. Read past blog coverage here of Harlem Garage. It’s all happening the evening of the 10th and tickets to attend are only $10. I plan on attending! So join me in meeting up at the new Harlem Garage at 318 West 118th Street. Go here for details! This entry was posted in Harlem and tagged Harlem, Harlem Garage. Bookmark the permalink.